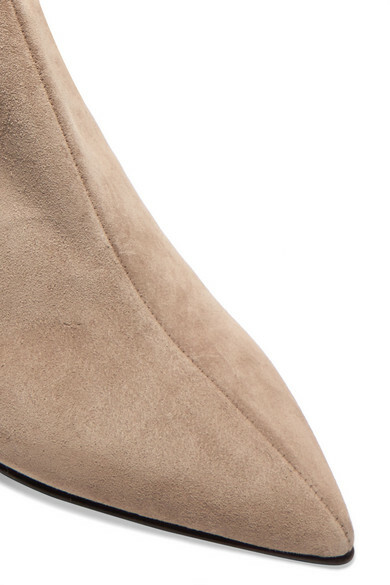 aeydē's sleek boots have been worn by everyone from Lucy Williams to Leandra Medine Cohen. 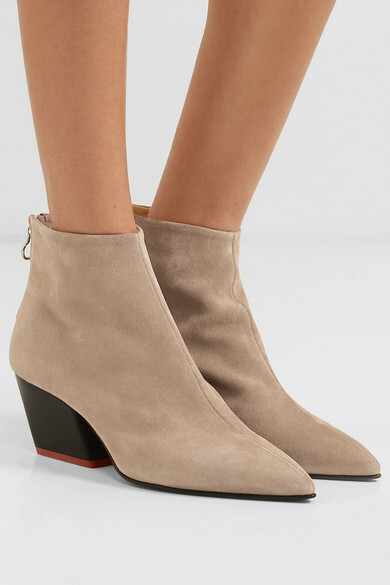 This 'Freya' pair has been made in Italy from supple suede and constructed in a point-toe silhouette with a red-tipped slanted heel. The muted taupe shade will suit this season's new neutrals so well - think tones of mushroom, oatmeal and cream. 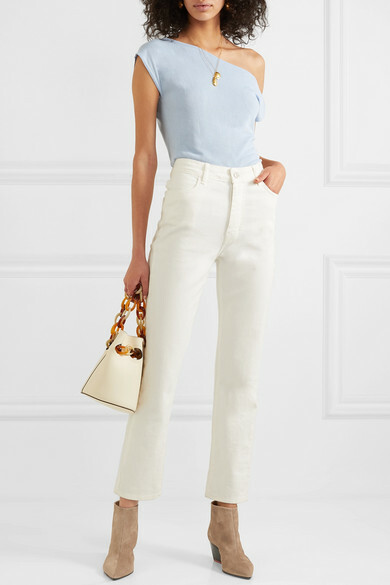 Shown here with: Jacquemus Top, CASASOLA Jeans, Trademark Bucket bag, Paola Vilas Ring, Alighieri Necklace, Kenneth Jay Lane Earrings.